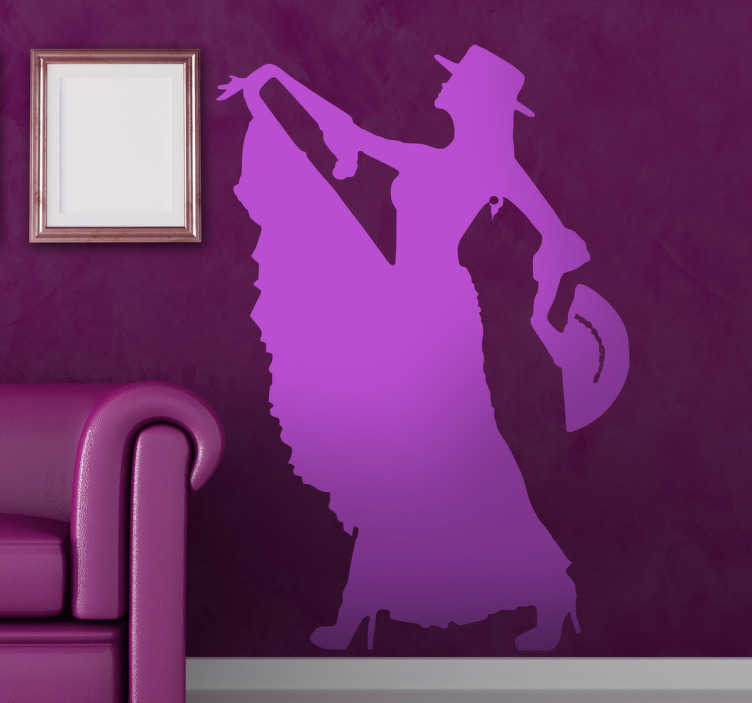 An spectacular flamenco wall sticker illustrating a dancer! Brilliant monochrome decal for those that love Flamenco. Do you know how to dance flamenco? Are you looking for a fun decal to decorate your dance hall? If yes, then this colour and size customisable sticker is perfect for you!